If you have something to say, say it loud and clear. Stand up and speak up for what you believe in. We are done with the cowardly comments huffed under your breath and the incessant whispers to your friends. Let me be very straightforward. 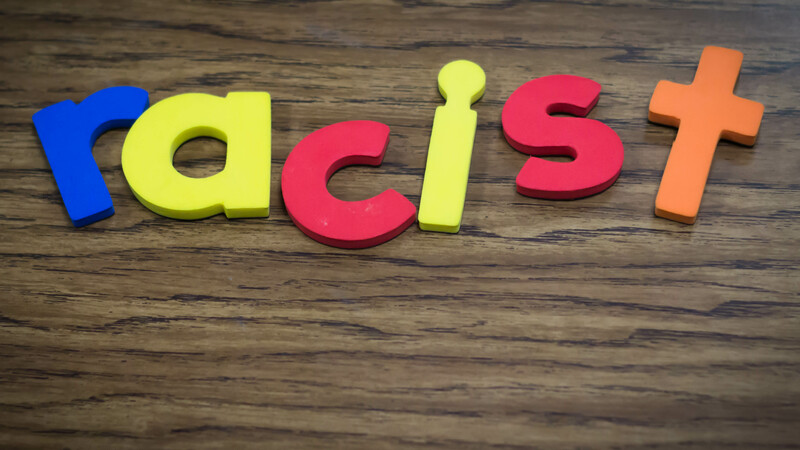 I’m not angry that you have been repeatedly murmuring the word “racist” in my classroom. I’m upset that you’re not saying it louder. I want you to call out racism. Point a finger in its hideous face and say what you really think. We need voices that will bravely demand an explanation for actions that oppress and harm others. What we do not need is a kid who’s trying to raise a reaction in my classroom or get a high five from his best friend by whispering the word “racist” every time anyone says “black,” “brown, or “white” to describe someone’s skin color. Don’t hide behind jokes and whispers. It’s time to grow up and become a young man who can articulate his thoughts and beliefs in a way that challenges and inspires others. Call out injustice and discrimination when you see it. And I hope you see it, because it is all around you. Let’s call out the fact that due to years of oppression and lack of opportunity you, as a young Black man from Oak Cliff, have a much greater chance of going to prison than college. That sir, is a result of racism. I want you to boldly talk about how angry it makes you feel that there is a racial divide in Dallas. You have every right to be mad, because you don’t have the same opportunities as a 12-year-old student growing up in North Dallas. Discuss the fact that I am one of four White people you have met in your entire life. It’s ok to say that I’m White. It’s not racist to acknowledge the color of my skin. I’m not offended. But I am angry. I am angry that you would rather waste your breath being the funny guy than say those same words with conviction and purpose. Honor your heritage. Live up to the greatness that you come from. Be a young man who fights injustice and oppression, not a boy who makes empty objections and distracting jokes. If you see, hear or experience racist language or actions, call it out. All other distracting and silly side comments are not welcome in my classroom. This entry was tagged courage, injustice, inspiration, middle school, opinion, oppression, prejudice, racism, school, teaching. Bookmark the permalink. Absolutely love this post. Echos so many of the exact same sentiments that I had in my classroom. This post is great! Thank you so much for sharing all these letters! I look forward to these letter, Taylor. This is such an important issue to get across to these young students.